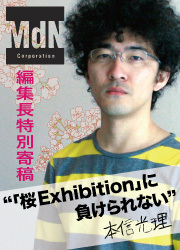 Cosponsors for "SAKURA Exhibition 2012"
Arcphilia is a creative company which connects “creation” and “society” through designs, media and events. This is a gallery in Shinjuku which can be used as rental space. It can be used for various purposes such as exhibitions, photographing, filming, drama performance, fashion shows, etc. We plan and operate postcard exhibitions, group exhibitions, web events, etc. on the concept of "planning events from creators’ standpoint." Our specialty is giclee printing. We support artists in creating arts. We provide a completely free community site for creators where you can hold a web exhibition and sell your goods for free of charge. 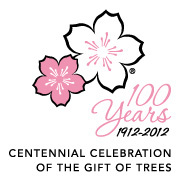 We hope to introduce as many Japanese artists as possible to the world. We will be glad to help you with your overseas promotion. We play a role in connecting illustrators with chances to work through illustrator search site and publication of promoting brochure. A lot of illustrators, from new ones to popular artists active at the forefront of the illustration world, have joined us. Ryuichiro Mori, who is an illustrator, is personally in charge of Illustrators Tsushin. UYO ART PRINTING CO., LTD.
We develop and promote a creative relationship between Los Angeles and Japan in the arts and entertainment industry. gr@phic is a printing company which is open around the clock throughout the year. We provide new printing services. Why don’t you show your works to the world on CREATORS BANK’s web portfolio? CREATORS BANK is a portal site to support creators. You can make high-quality original goods at a reasonable price, even in a small lot. CJ3 Cube is an open social network service in which a lot of various people such as artists, art fans and art business groups gather for events of art creative culture. NORBERTELLEN Gallery is located in the middle of Dowontown LA where the big art event "Downtown LA Art Walk" is being held every 2nd Thursday. Portalgraphics supports artists by providing a painting software “openCanvas” and a manga creating software “ComiLabo.” You can see illustration-making movies in “Potagra,” a community of “openCanvas” users. wacom provides "Intuos" and "Cintiq," pen tablets for professionals. We will support worldwide artists in drawing. We hope our gallery will be able to connect people. 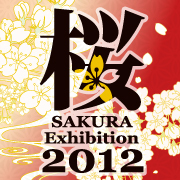 We are looking for firms and groups that are willing to become a cosponsor or a supporter of SAKURA Exhibition. Any small support will be greatly appreciated. If you have any interest, please send a mail to .